If you haven’t tried older Delectus wines, you should. The winemaker before 2016 (Gerhard Reisacher) had some interesting ideas that make his red wines worth investigating. The extended cold soak, cool fermentation and extra time their reds spent on the lees drive a different profile. When you include the high quality fruit coming from well-managed Knights Valley estate vineyards, you have reds that show notable balance for fruit-forward high-alcohol wines. Delectus was acquired by Vintage Wine Estates in 2016. Vintage hired a new winemaker and lost their access to the Knights Valley vineyards. For the record, I have no idea what they are doing today, but if you can get your hands on inventory from vintages prior to 2016, it is worth giving them a try. These are not classically styled Old World wines. In good vintage years, the extended cold soak makes the wines quite extracted. The longer cool ferment and the extra time on the lees seems to affect the tannin and add a finer texture. In my opinion, if you were to marry this philosophy to a cool climate region, that would be something special. Instead, you have wines chasing Robert Parker’s next 100 point score. Don’t get me wrong, these are well-made wines and I do enjoy them as what I call “cocktail wines”, or accompanying rich red meat dishes. The usual high-alcohol makes these dry wines taste sweeter. Somehow, Mr. Reisacher managed to make these high-alcohol wines fairly integrated and balanced. Something you don’t see much of in Napa Valley. Like other tasting notes on CT, this wine also hit me as odd. To get the first question out of the way, it does not taste hot, even though the label lists 16.7% ABV. Shockingly, the alcohol is well integrated. Upon first pour, this is a high-acid fruit bomb. At 9 years of bottle age a surprise… decant and give it an hour before you drink and you will find the real wine underneath. At first, the nose is almost non-existent, but later reveals itself after a couple of hours. Once it develops, the nose is alcohol, plum, blackberry, black currant and menthol. With time open, this wine becomes well-integrated. The palate starts with blended red & black fruit (like boysenberry compote), but after time it settles down and morphs into the blackberry, plum & black currant you expect. The wine is dry, but the high alcohol content makes it seem somewhat sweet. The mouthfeel starts out soft, but thin and then the tannin shows and the texture begins to fill the mouth – high tannins and high acidity abound. The mid-palate shows immediately after the fruit and is all dark chocolate (without bitterness) that follows to a very long finish. This wine rewards patience. I agree with one of the other CT notes. Much like a Conn Valley Cab. As fruity and bold (perhaps more even), but the tannin is fine-grained and softer. I would be concerned about giving this more time in the bottle. The alcohol is so high, without the big fruit/acid/tannin behind it, the alcohol will likely begin to dominate. It seems to be drinking well now, but is definitely for those who enjoy fruitier, high-alcohol wines. This is every bit like the more expensive “cult” wines I have tasted. If you are a fan of that style, track down one of these older vintage Delectus wines and give it a try. They stand-up to aging and offer a similar experience for a lot less! The Future of Wine Marketing? I try to spend time occasionally researching wine consumption and how those trends affect the industry. Along that line, a couple of media items came to my attention this week. This article published by Beverage Dynamics on current wine trends at – https://bit.ly/2JZ1cjp and the NPR Radio program regarding the history of Grey Goose brand Vodka and Jagermeister brand liqueur at – https://n.pr/2Fk3ZEg. Take a look for some background, or just follow along below. I will do my best to take you through the impressions this left with me that caused my view of wine marketing to veer in a very different direction. It appears Sidney Franks (of Grey Goose Vodka fame) was the original mastermind behind the concept of “guerrilla marketing” in the premium beverage business. Relative to the Jagermeister brand, he took a product enjoyed in the USA by old German guys, and gave it a new hip, young and fresh make-over. This very successful re-branding effort was accomplished by sending out young, trendy brand ambassadors to college bars to promote the product face-to-face. Wow! Grass-roots demand generation from the ground up! It is hard to believe such a simple idea built a brand in U.S. with over $500M+ in revenue. It took me over ten years to find a group of guys that collect classic premium wines in the Phoenix Metro area. It always struck me, why was that so difficult? What organization in the wine industry identifies the individual market segments and brings like-minded consumers together? I was thinking at least one producer would attempt to do this to promote their product and build demand. Nope. Nada. Nothing. How is that possible? I did find an organization a couple of years ago that I thought might be the answer: the American Wine Society, or AWS (http://www.americanwinesociety.org/). It didn’t work out at the time. The chapters in my area were focused on typical, easy drinking, lower price wines. After some investigation, I just lost interest. Then recently I ran into Jay Bileti (an officer at AWS) and he “listened”. The net result was gleaning out of the current membership a few folks whose interests leaned in this direction. Voila!, we had a wine collector’s tasting group. The point is: where is the industry involvement? It is becoming increasingly clear as the baby-boomer generation ages, marketing must become more focused, target specific price categories and connect with consumer interests. Implementing a little of that “Guerrilla” thinking and investing in filling this gap would have a huge impact on label/brand awareness. Add a few smart folks to the mix and you would have the next great Sidney Franks-like story in the wine business! The first simple idea would be for wine producers/marketing reps to reach out to consumer organizations like AWS. No, not the way it is done now, but to invest in surveying wine enthusiasts to identify consumer market segments, categorize interests, separate price categories, build palate profiles and associated taste models. THEN, provide services to connect individuals. The best marketing ideas build a COMMUNITY! This is where brand loyalty begins. Right now, none are willing to invest this way, because there is no vision for how to monetize it. This has to be the future for premium brand wine marketing as Boomers age. Just holding local wine tastings and wine dinners is not the full answer. I wonder, what would it take for a few producers to embrace this idea? I attended a presentation today at the 2017 Wine Bloggers Conference by a group of four Zin winery owners sponsored by ZAP (Zin Advocates & Producers) and heard this plea: we are serious winemakers producing serious wine, we deserve to be taken seriously! The session was titled “Zinfandel: Old and New.” I was expecting a serious discussion about old and new wine styles, but instead we heard the usual tired Zin topic: comparing old vs. young vine Zin. Not that this isn’t a viable topic, it has just been covered many times in many places and not really what these winemakers were passionate about. The ZAP moderator had to focus the discussion back on promoting the vineyards several times. This brings me to the reason for this commentary. I have seen it many times, when a winery doesn’t understand how best to develop a coordinated marketing plan, the focus is put on expression of place (terroir). There are definitely worse ideas, but Zinfandel in particular is a special case. Zinfandel has an identity problem first and foremost and if that isn’t addressed, all discussion of place is lost in the noise. Zinfandel is the most manipulated wine grape on the planet. It is made in so many styles, you really have no idea what to expect every time you open a bottle from an unfamiliar producer. In contrast, when I pop Bordeaux/Meritage, Burgundy, or Rhône style wines, regardless of where they are made, I have a rough idea of what I will be tasting. That is a serious problem. If ZAP is trying to bring Zin into the premium space, they should be focusing on this issue. Collectors and restarauteurs need to have a point of reference. It must be quite difficult to build a marketing plan around a wine profile that is not generally familiar. Does the marketplace need some sort of generally accepted Zin style indicators? RICH Zinfandel – Characterized by winemaking technique aimed at broad general appeal and high volume production. Usually driven by ideas like: whole cluster vacuum fermentation to add extraction and big fruit flavors, extended cold soak for more extraction, late harvest to accentuate over-ripe and raisiny fruit flavors and optical sorting to isolate late harvest raisins to make a concentrated must used to fortify larger batch production. Good examples would be Lodi and Paso Robles producers chasing the jammy Zin profile. WARM CLIMATE Zinfandel – These would be producers in warm climate areas with a fine wine sensibility. Using Guyot trellising and vertical shoot positioning to build a Bordeaux style approach to Zin. This type of winemaking in these locations makes what I would call Zin with finesse. Not overly fruit-forward with low tannins and medium to medium-high acidity, often shooting for soft wines with good mouthfeel. Napa and Dry Creek Zin producers would be the example here. COOL CLIMATE Zinfandel – These producers are trying to build a leaner style Zin with medium to high tannins and high to very high acidity. Often traditionalists, these estate vineyards are usually head-trained and laid out with more space 8’x8’ or 8’x12’ between the vines building a large cluster approach to fruit production. Zin tends to always drive fruity flavor profiles, so growing in a location with just enough sun and warmth to ripen the fruit seems to work. This is probably a “truer” expression of Zin for you purists and builds a wine much better for pairing with food. Producers from Amador and El Dorado Counties and Russian River are examples in this category. Zinfandel BLEND – This is the newest idea in the industry and popularized by the very successful release of “The Prisoner” by Orin Swift orginally. Zinfandel as a varietal has broken through the stigma and become a more common blending grape. Several producers in Paso Robles have begun using Zin to add a fruit-forward and aromatic character in lieu of the traditional Grenache found in most Rhone blends. I find the result quite interesting. Try an example of a red blend with Zinfandel in the mix. When done well, these wines can be fruit-forward, acidic, tannic and have great mouthfeel all at once. 2015 Terra d’Oro Deaver Vineyard – Mildly fruit-forward and slightly sour. Much like a Chianti without the structure. Some complexity would add interest. Medium acidity and tannins. 2015 Cedarville Vineyard Zinfandel – A fruit-forward nose and palate with black cherry and strawberry. A light mid-palate and finish of bitter dark chocolate. Medium-high acidity and medium-high tannins. This had a nice aromatic nose. Nice effort that maintains the integrity of the Zin profile, while offering a structured food-friendly approach. 2015 Proulx Zinfandel – A strong red fruit profile with a brambly note and a dominating nail polish character on the nose. Medium-high acidity and medium tannins. 2015 Limerick Lane Wines 1910 Block – This is loosely a Zinfandel “field blend”. More blackberry than the other wines tasted here (more black vs. red fruit). The enhanced black fruit is likely due to the other red varietals planted in this vineyard. There was a brambly character that added a pleasant complexity. High acidity and medium tannins. These four wines were grown in areas where at least the evenings are quite cool and the fruit is often picked a little earlier than other California Zin producers. These wine profiles were deliberately built to offer a more classic style of red wine with good structure and to pair well with food. Think food pairings like poultry, or pork – in particular, a Thanksgiving meal sort of sensibility. 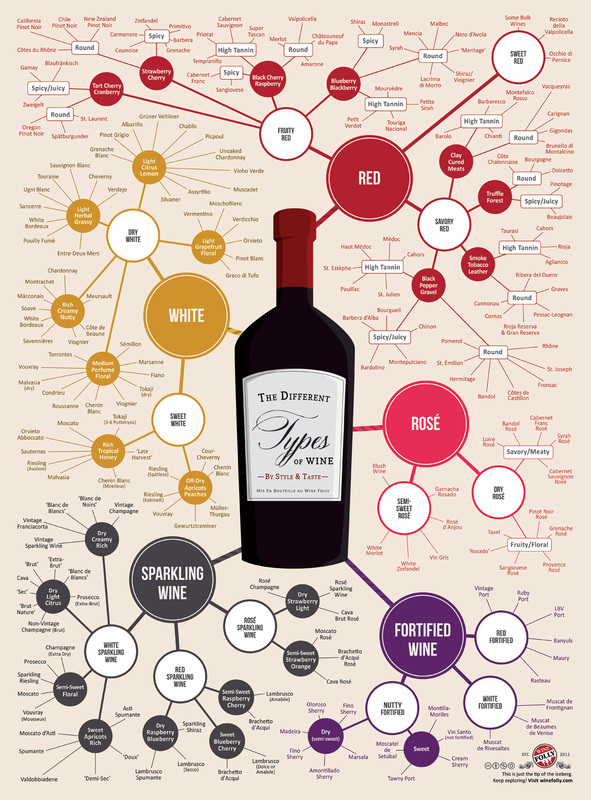 How do YOU feel about Zinfandel? It can be made in a very serious wine style, but is not often thought of this way. Marketing is critical for the producers in this style. It was mentioned in the session that these producers were not successfully selling into the Midwest and East Coast markets. The answer has to be an organization like ZAP that could develop a product identity well understood by the wine community. My wife and I spent years visiting Napa Valley thinking that Stag’s Leap Wine Cellars was THE Napa Stags Leap… Not that I put research, or thought into it, but I had no idea there were TWO. Many years ago, my wife and I arranged a tasting appointment at Stag’s Leap Wine Cellars and were hit over the head with their rustic approach to red wine. It is always a difficult decision to buy wines that require 10 years in the cellar to enjoy. We made that calculation in those early years and never visited that Stag’s Leap again. Surprise, discovering there is another similarly named winery with a completely different approach to making wine! This was a beautiful property. Everything you could want in a destination winery property: picturesque, historical buildings with architectural interest and a colorful history all tucked back in a forested valley, off the Silverado Trail on the East Side of Napa Valley. Although, what was truly special was the wine. This was an opportunity to tour the facility, taste the product, hear the winemaker discuss his wines, ask questions and immerse yourself in this winery’s experience. The best kind of wine country adventure! Christophe is a passionate, down-to-earth guy with a vision for his wine. An Old World artist with a New World sensibility. Here is one of those special winemakers who succeeds in leaving his signature behind with every wine produced. Each red wine had a special character to the tannins… all very structured, with age-ability. Even young, the tannins were so fine, as to make the wine approachable on release. After 20+ years of collecting and tasting premium wine, you learn to recognize a deft hand. Grainy, rustic tannins in red wine become a bludgeon, beating you over the head. This heavy-handed, unpleasant approach to red wine magnifies a seeming lack of experience (interest?) in a refined approach to collectible wine production. On the other hand, this winemaker understands the importance of nuance in his approach. Think muscular, with a gentle side and a focus on aromas that draw you in. I have always had a soft spot for winemakers that pay attention to the nose when building their wine profile. 2016 Viognier – Alsatian white wine feel with citrus and tropical fruits, minerality and a touch of spice. Huge acid backbone for a Viognier. Interesting and complex with a profile that could pair well with foods, or be drunk on its own. 2016 Napa Valley Chardonnay – Mix of new/neutral oak and stainless. No malolactic ferment. Tropical fruit and citrus on the nose. This is an Old World style Chardonnay that does not use a malo ferment to tame the acidity and add butter flavors (yay!) Contact with the lees has been used to add texture. This is a crisp, aromatic, high acid Chardonnay. Perfect pairing for seafood and white cream sauces, but fruity and interesting enough to drink on its own. 2014 Block 20 Estate Merlot – A lighter, more structured style than your typical Napa Merlot. A Right Bank Bordeaux feel, but with such fine, approachable tannins, it takes you down the path to Margaux. Plummy fruit forward nose and palate, with a rich brown butter flavor adding interest. The brown butter often comes from a combination of aging on the lees and just the right toast on the barrels. Christophe asserted this was just the character of this vintage’s fruit. Either way, a special Merlot that highlights the best of both Old and New World wines. 2014 Twelve Falls Estate Red – I just wanted to bathe in this stuff! Unusual blend of Cab Sauv, Petite Sirah and Merlot. The PS was handled in such a way that it complimented the other varietals, instead of overwhelming them. Plum, blackberry, blueberry, spice and everything nice! High acidity and high tannins. Superb red blend! 2014 The Leap Estate Cabernet Sauvignon – Needed time to open and unwind. Steadily blooming flavors and complexity over time. This is a highly structured Cab Sauv with very high acidity and high tannins. Fruit forward blackberry and currant out front, with earth and leather to the mid-palate. I found myself wishing for a bit longer finish, but the silky mouth-feel filled the gap. Beautiful approachable young Napa Cab Sauv. 2014 Ne Cede Malis Estate Field Blend Red – Odd field blend of Bordeaux and Rhone varietals both red and white. Areas of this block in the estate vineyards were planted back to 1920. High acidity and high tannins, busy flavors and silky mouthfeel. Quite nice on the nose and on the palate. I think I am a touch too traditional… the wine had me thinking too much about identifying varietals and associated flavors. I know complex red blends are becoming more popular, taking us back to a hundred years ago when field blends were much more common, but recognizing wine styles brings a certain amount of comfort. This wine could easily grow on me, but would take time. Consistently fine tannins and an aromatic nose were indicative of these wines. All highly structured, age-able and food friendly, these wines were also soft, pretty and approachable when young. Characteristic of a talented winemaker working with high quality fruit. Tasting appointments are required. Call ahead and take the time to find this hidden gem. It will be well worth your while. Not to minimize, or take away from the tragedy currently unfolding in Napa/Sonoma… our prayers go out to the families who are dealing with such terrible loss. The long-term impact of global warming should have the largest effect on vineyard varietal selection. In the next 20 years will we see Napa/Sonoma start replanting vineyards to warm climate varietals? Will the vineyards start to look more like the Southern Rhone? In 20 years will Oregon/Washington State become the new Napa? The short-term impact will be on harvest timing/strategies and winemaking. Before the fires, I saw a few CA winemakers chatting on Facebook about how the unusually hot harvest in 2017 might cause them to adjust their approach from past years. It will likely be the estate wineries that can be flexible and creative enough to weather this transition well (pun?). How Can the Industry Adjust to Climate Change Now? This strategy is basically, separating a vineyard into blocks and varying the harvest timing… requiring multiple harvest passes at different times in one vineyard. I can’t tell you how many other winemakers have told me this is a gimmicky, trendy technique and is a waste of time and money. I have tried to see the negative viewpoint, but the final consideration always comes back to the supporting science. Before a winemaker can consider this alternative strategy, he/she has to either: be working for an estate winery, or have influence and control over the grower. I have talked to several winemakers/winegrowers who split harvest timing across several days/weeks to handle individual vineyard blocks separately. This can take advantage of rustic elements present in the fruit from earlier harvest vs. more advanced flavors/phenolic development from later harvest. Although, if the nights are not at least cool during Fall harvest season, good acidity levels will still be difficult to achieve. Earlier harvest can also control sugar in the must (fruit) and subsequent alcohol content in the wine. Some are taking this thinking a step further and investing in the equipment and resources to perform small-batch fermentation of each separately harvested block… to add complexity and balance via blending. In a world where Fall is becoming warmer, an interesting investigation might be whether earlier harvest in one block could help offset the impact of a more traditionally timed harvest in another? The Bordeaux grape varieties that comprise the majority of red wine currently sold in the world (Cab Sauv, Cab Franc, Merlot, Petit Verdot, Malbec & Carmenere), do not produce classic wine styles when grown in warmer climates. That doesn’t mean there aren’t varietals grown in warm climates that don’t produce structured, balanced wines… Syrah, Grenache, Aglianico, Tannat, Tempranillo (to name a few)… but to go down this path, the majority of the world’s vineyards ( from 35th to 45th parallels) would have to be replanted AND the world would have to be re-educated on which varietals to drink. When grown in a warm climate, the most common wine grape varieties in the world, tend to produce simple, easier drinking wines that do not pair well with food. Regardless of the necessities driven by global warming, it is unlikely that consumers will accept new styles of wine simply because current vineyards are not planted in cooler climates. There will never be a good approach to bringing these pieces together. Vineyards need to be starved of water and nutrients in a carefully controlled process to concentrate flavors and produce complex premium wines. Vineyards cannot be over-watered, which means they will always be “dry” by definition. As global warming continues, it will be critical to clear an open space around vineyards, so scrub and forest cannot easily transfer fire conditions by proximity. I can’t tell you how many vineyards in the mountains around Napa and Sonoma are nestled in and completely surrounded by forest. What makes for a beautiful setting, may cause a fire risk that is no longer acceptable. Any change along these lines could dramatically change the picturesque nature of wine country (California?) moving forward. Change is a disruptor we all have difficulty contending with in many areas of our lives. It is likely wineries and wine enthusiasts alike will have to change expectations in coming years. There is a small group of pioneering winemakers taking the leap of faith (with some encouragement) to embrace a different approach to Lodi winemaking. They offer limited production premium wines and are fashioning a new identity for the region. This project was the original brain-child of Randy Caparoso (see bio here: Randy Caparoso), but it’s success depended on the execution of a group of winemakers who embraced the challenge. At its core, the project represents a winemaking philosophy, but the goal is much broader and ambitious. It includes a group of winemakers (Layne Montgomery-M2, Stuart Spencer-St. Amant, Ryan Sherman-Fields Family, Mike McCay-McCay Cellars, Tim Holdener-Macchia and Chad Joseph-Maley Brothers) that individually agreed to release 100-250 cases per vintage of Lodi AVA vineyard designate wines under a set of rules that require non-interventionist winemaking. The parameters include: all natural wild yeast (no inoculation), no additives (i.e. acidification), no filtering, all neutral oak in aging, etc. The heritage vineyard sites (see historic vineyards here: Heritage Vineyard Society) include: Marian’s Vineyard, Schmiedt Ranch Vineyard, Soucie Vineyard, Stampede Vineyard, TruLux Vineyard and Wegat Vineyard. These are all “Old Vine” vineyard sites (see Lodi Native vineyard info here: Lodi Native About). Lodi has a large number of Heritage designate Old Vine Vineyard sites. Many were planted with their own root system (not spliced onto alternative root stock). Lodi is fortunate to have sandy-loam soils at some sites where phyloxera cannot survive. The native root systems on these 90-120 year old vines do seem to have an effect on the character of the wine. Many of these vineyards yield only 2-3 tons of fruit per acre, without intervention. These self-regulating vines seem to have “learned” how to contribute to yield management on their own. These sites represent a valuable asset to the local wine community, having as much to do with quality winemaking, as the historical significance they hold. The importance of these vineyards was not recognized until roughly ten years ago, but it was Randy’s vision that made them commercially viable, and it was the winemakers’ commitment to showcasing the uniqueness that brought the project together. Lodi Native has given a voice to the different nature of this AVA. Maybe Randy guessed at what could happen if the winemakers pulled it off, but I don’t think any of them understood what it would mean to building a local wine identity… beyond bulk wine grape production. These wines are very good in a serious classic sense and are terroir driven. They offer structure and balance, something missing from much of the rest of the AVA and they definitely belong in the category of premium wines. They offer a delicate finesse, focusing on soft mouth-feel, floral nose/palate and age-ability. If you are a wine enthusiast, you owe it to yourself to seek out these wines. They are the beginning of the emergence of the classic Lodi AVA and the value is solid. This has been an illuminating couple of days at #WBC16. I think I have an initial feel for a few of the major issues facing the Lodi AVA. First, the wine industry potential here has no limit. The terroir is capable of producing interesting enough wines to support a solid run at the premium wines category, but the local farming culture is actively impeding progress. Multi-generational wine growing families dominate large swathes of the region, bringing a focus on farming science to the local wine industry identity. I spoke with a large sampling of wineries here and almost all ownership either originally started as growers, still have a fruit supply contract, or have a family history in farming. This is an AVA where large production wineries dominate the local economy with bulk wine and large production labels in the $10-20/btl price range. There is a clear local perception of Lodi’s current market position, but a few have a vision for the future and entry into the premium and ultra-premium categories… where double digit growth in the industry lies. The cost per ton of bulk wine grapes sold for volume production has been stagnant here, whereas the cost of quality fruit for small production labels has been rising. Some here with a head for business and a marketing sensibility, see the profit potential in a change of approach. These factors are just the background for the Lodi discussion. The real issue is the identity crisis being caused by conflict between farming science and premium winemaking philosophies. Fruit production concerns here, not the winemakers approach, are driving the final product. Napa, Sonoma and parts of the Central Coast have already moved past this barrier. These other regions have developed production environments where the winemaker’s vision is effectively incorporated into the vineyard management strategy. This evolution has not reached Lodi yet and the battle for the identity of Lodi AVA is solidly underway. I attended a short panel discussion during the conference that was focused on viticulture in the area. The ideas expressed… were hard to believe. In a world where Lodi is striving to be relevant in the premium wine category, this one discussion put the region back a decade. The panel asserted that quality wine could be produced from vineyards managed to deliver 10-12 tons of fruit per acre. One of the individuals on the panel was adamant! I wrote an article last year related to a similar topic that applies: Is a Trained Palate Necessary to Produce Fine Wine? I was referring to winemakers in the piece, but it can also apply to vineyard managers as well. I have tasted wines comparatively from fruit harvested at 2 tons, 4 tons and 6 tons/acre. There is a very noticeable difference. As a common theme across all Napa/Sonoma winemakers I have interviewed – none of these wineries sourced fruit from vineyards producing over 5 tons/acre. So, this panel is telling me Lodi vineyards can produce quality fruit at 10-12 tons/acre… AND dropping fruit does not increase concentration of flavors? Extended COLD – Soak, Maceration and Fermentation. I explained some of these techniques in a previous blog post at: Why Do Wines Taste So Different? These represent winemaker driven strategies and are the hallmark of an ultra-premium mindset. Very few of these techniques are in use currently in Lodi. The changes required in vineyard operations to adopt these methods is not consistent with a farming driven approach to wine growing. If winery operations teams can’t move thinking in this direction, bulk wine growing will continue to dominate the region. How do Lodi wine professionals measure success in the wine industry? Does that vision conflict with profitability? It is clear to me, many of these Lodi wine growers measure their success by their ability to produce reasonable quality at the highest yields. Profitably producing fruit under a 10 year contract with Gallo at $600-800/ton is the picture of that success. My imagination is just not captured by what it takes to be profitable producing 500,000 cases of wine. There is definitely more than one approach to running a profitable winery, but from the wine service perspective, achieving high quality and acclaim is the definition. That quality has typically come from single vineyard designate, estate wine production. I think there are many students of winery operations that could deliver quality at 3-5,000 cases… and struggle to make a profit. What is truly impressive is a 10-25,000 case winery developing demand at a premium price point and driving healthy profits! Notable success in the Wine Industry should be measured by producing highly acclaimed premium and ultra-premium wines, while delivering a serious return on investment. Is Change Necessary in Lodi? Last night I joined a group of consumers for a tasting of wines from Spain & Portugal. Roughly twenty wines were presented at price points from $10/btl to $25/btl. Tasting through the wines, all I could think was: “This is the most ridiculous tasting I have ever attended”! Not that the venue was awful. or that the attendants were rude, but it was the wine itself that had me shaking my head. What is going on? Virtually all of these wines were from Spanish & Portuguese producers trying to make New World style blends. The classic regions were represented: Ribiero del Duero, Rioja, Toro, Duoro for reds and Rias Baixas and Vinho Verde for whites. Granted, I did not recognize these producers, but if classic Old World regions are going to embark on such a strange path, they need some help. There were all sorts of blends with the traditional Tempranillo, Grenache, Mourvedre (Monastrell) and Albarino mixed with Cab Sauv, Merlot, Cab Franc, Alicante, Macabeo, etc. Ugh! These producers need to import wine consultants from the Rhone, where blends are their forte! What junk! Then out of curiosity, I looked for the DO (Denominacion de Origen) – printed right there on the label! The issue here is not that they were blended wines, it is the amazingly poor winemaking in play here, BECAUSE they were trying to copy New World styles. Oh God, please don’t tell me wineries in Europe are going to start trying to guess at the American palate and alter their classic wine styles to appeal to our market! I don’t want all wine to taste alike AND these traditional Old World wine styles are made that way for a reason: to accompany local cuisine. Local foods always pair well with local wines in Europe. Think about it. They have had generations to get it right. OK, I am done with my rant. This wine Op-Ed piece was not just about wine styles really… if these wineries are going to start making unconventional blends, how about they make them taste good? Getting into a Winemaker’s Head, After One Tasting? I am about to embark on a dangerous journey… trying to understand a winemaker’s thinking after one tasting session. Probably presumptuous, but I think a fun exercise for the imagination. This last week I stopped into a highly regarded producer from this wine growing area. My first time visiting the Livermore area. The only wine I had previously tasted from this AVA was a sub $20 Cab Sauv from Concannon and it was not pleasant. Well, adventure feeds the soul, right? Guess #1 – This area seems to have a cooler climate than Napa Valley and the soil is more fertile. You can taste it in the wine: less alcohol, less phenolic development, a little vegetal in flavor, more red (than black) fruit and thinner viscosity. So, the first decision: what style of wine do you make from this fruit? These wines were all trying to be “Old World” with a new world twist: very fruit forward, attempting balance (albeit without much structure), little to no new oak, no American Oak, and keep the alcohol low (no chaptalizing). This winemaker fully embraced this approach and it appeared to be a clear decision in all the wines I tasted. Guess #4: So, when the tasting room manager discovered I am a trained Somm, they broke out the wine club selections: reserves and single vineyard wines. These wines had structure: with high acidity and medium (or higher) tannins. Honestly, I was a little offended when I realized what was going on. I guess educated wine buyers are all rich… just because you are allowing more contact with the skins and including some stems in the maceration and ferment, doesn’t mean the process is more expensive. These red wines spent 18-24 months aging in the barrel, just like most good reds. As it turned out, I enjoyed the tasting! It is fun imagining you can get into the winemakers head. You don’t normally find such clearly defined characteristics in a winery’s breadth of a single vintage. The club wines were good, but they weren’t big on value… These wines were fruit forward, complex, structured and very silky. One word of caution, before deciding to seek out this producer, you must settle on a preference for red fruit flavors in your wine. There wasn’t much in the way of blackberry, plum, or black currant flavors to be found. Nice nose of red cherry and cinammon. All bright, fresh red cherry on the palate. The mouthfeel was a touch creamy. The tannins were low and the acidity was medium. A nice fruity table wine that is meant to drink before dinner. It had no over-whelming characteristics, therefore a balanced feel, but virtually no structure. There was a touch of dark chocolate on a short finish. Fresh cherry on the nose. Palate is of brown butter, then red cherry following. There are medium tannins and high acidity. Too much oak… and it is strange to taste such strong cherry flavors in a Bordeaux blend. The winemaker had some guts here… this wine had a slightly vegetal nose. I can appreciate the courage there. I have tasted many Cabs that were a touch vegetal and amazing! The palate was of black cherry and blackberry with cinammon and a touch of butter on the finish. The wine had high tannins and high acidity. The mouth-feel was nice and silky. I was told this was a tawny style port… ooops! Not even close. A heavy medicinal nose. Tasted exactly like red cherry cough syrup with herbs and mint added. the fruit was too fresh to be a traditional tawny port. Definitely complex, but not really enjoyable. Is a Trained Palate Necessary to Produce Fine Wine? I have been doing interviews and visiting with several Washington State wineries this week and the discussion struck a chord, providing an interesting personal realization… not all Owners, Winemakers and Growers have developed a broad understanding of world wine styles. Over the last several years writing about wine along the West Coast, I had assumed I was speaking with professionals that had all spent time developing a palate and tasting styles from around the world. I now understand, this is not a formal requirement for a degree in Enology and the Somm training I received is really quite a different area of study. This week brought the issue to light for me and helped me to understand why being familiar with world wine styles can be an important element in producing quality premium wines. The 100’s of years of trial and error with local varietals, learning to accommodate local growing conditions and make the best wine possible. This is the reason why the world views the best expression of Syrah to come from the Rhone, or the best expression of Nebbiolo from Barolo / Barbaresco, Chenin Blanc from Vouvray, Riesling from the Mosel, etc. These varietals have been produced in these regions for generations and for the wine enthusiasts out there who have not taken the time to explore them, start now! Your imagination will be awakened and you will discover whole new horizons you never realized existed. (back on topic though) Take a minute to think about how this issue should impact domestic wine production… you can present the argument that New World wineries are pioneers, working in new regions and developing their own unique styles, but since when is this done in a vacuum? The best analogy is fine cuisine. Chefs travel all over the world to taste different styles and then return to the U.S. to introduce what the industry calls “fusion” cuisine. These chefs forge entirely new dishes by taking classic styles from around the world and “fusing” them to create new, unique dishes all their own. Understanding the “classic” wine styles of the world is equally as important… to compare and contrast how our New World terroir can be the same, or different, and to blend the best of both worlds to achieve the best expression from each of our domestic wine regions. Having interviewed quite a few winemakers over the last couple of years, I have come to understand how important wine style really is. Having a working understanding of tasting fruit in the field and selecting a style of wine that best complements that vintage is critical to producing a quality product. I tasted a Mosel style Riesling on this Washington trip from a winemaker who obviously understood how that should taste and how to achieve it. Has he traveled to the Mosel and studied with winemakers in the region? No. Does this winemaker have a large cellar, a trained palate and have regular exposure to taste aged wines from around the world? Yes. The new Rocks AVA here was made famous by Christophe Baron and his Cayuse label. He persevered through the jeers and disbelief of local winemakers when he planted these vineyards, because he recognized enough similarities between this appellation and the Northern Rhone region to fuel his certainty that this area would produce world class wine. The local industry has come around to his thinking slowly, but the results have been hard to ignore. Tasting other local wines from this AVA, it strikes me as amazing that some of these wineries are not producing wines that express the interesting terroir of this place. Why else make wine here? I wonder, have they not taken the time to train their palates to recognize the Northern Rhone profile this area can produce? Or, is it they haven’t taken the time to research the winemaking techniques that can help to achieve it? Or, will it require the generations of wine experience (like in Europe) to realize it fully? On the other hand, maybe it is a simple lack of belief that this style of wine can sell out every year… Most of these Rocks AVA Syrah’s have a funky, meaty background that enhances the rich fruit-forward character of the wine. I realize this is not for everyone, but I would venture to say, a small AVA like this could never produce enough of this style of wine to exceed the world-wide demand for it. To make premium wine, it requires more than just enthusiastic commitment to its production. You must have a passion for its consumption!